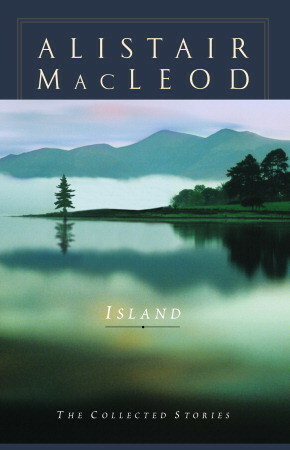 I felt like it was time for another short story from Alistair MacLeod’s Island collection, and thought it would be nice to find one appropriate for summer. So I chose As Birds Bring Forth the Sun – sounds summery, right? (I can hear those of you who know this story laughing at me already.) How wrong I was. This is more of a ghost story than anything else; a haunting tale passed down through generations. Not only is it ghost-y, but it’s also horribly sad with a terribly graphic and heartbreaking scene of brutality. Why did I go on? Because the cadence of his writing lured me on with the hope of good things to come. Once you get past the first part of the story, it gets easier to bear. Ghosts aren’t nearly so bad as attacking dogs and dead fathers. Once there was a family with a Highland name who lived beside the sea. And the man had a dog of which he was very fond. 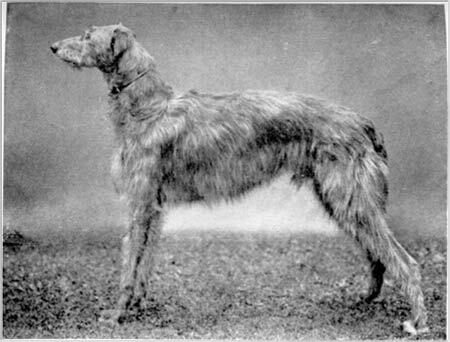 The dog became known as “the big grey dog”. I don’t think I’ll ever be able to look on this type of dog again without thinking about this story. Since then, it has been said, that when a descendant of the man who loved the dog is near death, a vision of the big grey dog shows itself to them. In the deaths of each generation, the grey dog was seen by some – by women who were to die in childbirth; by soldiers who went forth to the many wars but did not return; by those who went forth to feuds or dangerous love affairs; by those who answered mysterious midnight messages; by those who swerved on the highway to avoid the real or imagined grey dog and ended in masses of crumpled steel… Many of the man’s descendants moved like careful haemophiliacs, fearing that they carried unwanted possibilities deep within them. This might not end up being my favourite story of the bunch, but let’s hope I’ve gotten the most dismal out of the way early on. That’s such a great quote! I loved that whole growing up ‘theme’ in “In the Fall” – a lot of stuff really does hit him all at once, including that wonderful scene at the end. Well, that sounds kind of depressing! Ha! Ha! You need to read a few more cheerier books, Naomi! Yes! I think that line is in the story, but I’m not sure it was the best choice for the title. Not trying to scare you more (or am I? ), but world-wide, feral dogs are one of the most dangerous and deadly animals across the globe. Scattered over Asia, South America, etc., feral dogs will attack and maul *whispers* and eat people. Hmmm, sounds like you should have read it next month, toward the end of the month! Yes, that would have been much better timing! Yes, the ghost-y part of it was fine. It’s how the ghost story came to be that is hard to read! There are two things that I love about this story. First, what it seems to say about devotion, which is not uncomplicated. When he rescues the pup, and sees the silhouette left behind the mud, it is like a whisper of how things can hold other things, without shifting space. And the way that time passes is captured so brilliantly in the way that the pup begins to recover, so slowly and incrementally, unseen healing. Second, for the part which brings this story into another place entirely (and, yet, the same place) when he says “I am thinking about all of this now as…” and then continues into another scene, in which there is slow and incremental decay, unseen loss. I am so glad you read it and left such a long comment! I might never have stopped to think about your points otherwise, I was so blown away and taken aback by what happened. But I do remember, before the ‘incident’, how tender the story was with the rescued puppy and the devotion. You’ve even made me want to read it again! Luckily, I seem to be going with more of a monthly+ basis. I’ll let you know in advance when I decide to read the next one!